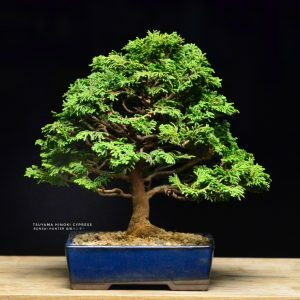 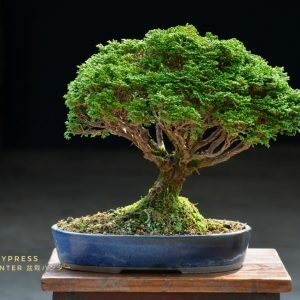 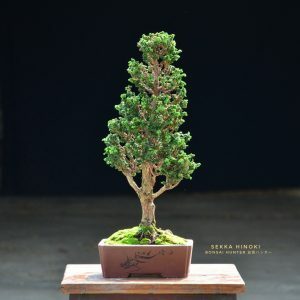 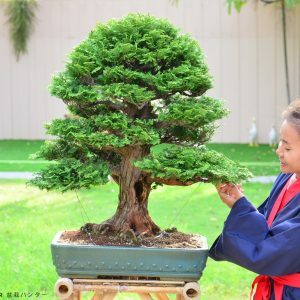 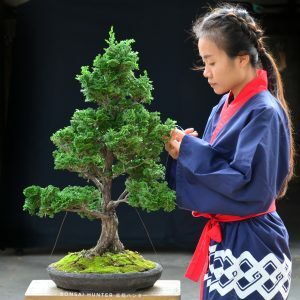 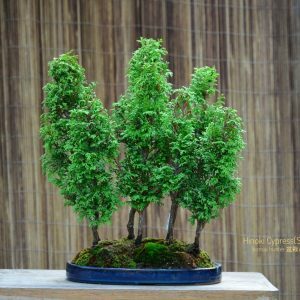 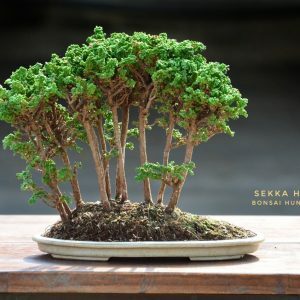 The Great Grand Master Hinoki tree with long history grown in Japan for several centuries. 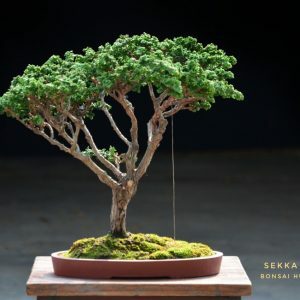 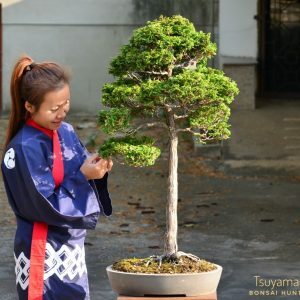 The bonsai wonder of our gallery. 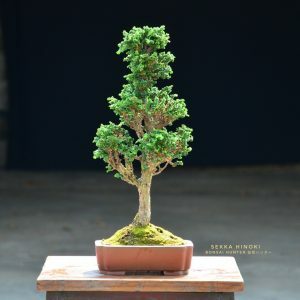 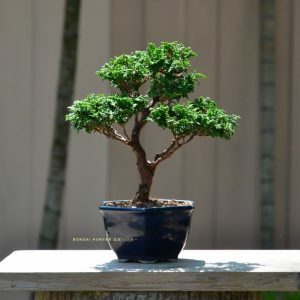 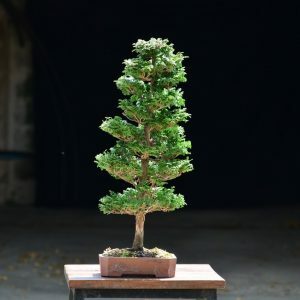 90cm tree height, 60cm width with an old unique pots.